Among all the Shahrukh Khan Movies, DDLJ AKA Dilwale Dulhania Le Jayenge is one of the best Bollywood movies of all time. DDLJ is directed by Aditya Chopra, where we see Shahrukh Khan and Kajol in the lead role. This movie is about how an Indian boy who was born and brought up in London falls in love with an Indian girl. Later he gets to know that she is getting married in India, hence decides to convince her father and stop the marriage. This is one of the most loved movies which is still running in a few theaters. 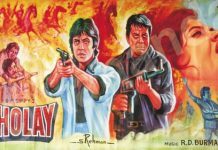 Sholay was the first film to be screened at Minerva. This movie was rejected by several movie makers before was approved by Ramesh Sippy. It took 6 months to make the movie. It took 22 days to shoot Ye Dosti Song. The action in the climax of the movie was actually suggested by Shahrukh Khan. While shooting Tujhe Dekha Toh Yeh Jaana song there was a lot of trouble as there was no proper permission taken from the Panchayat. Sholay made a huge impact in the Bollywood Industry and was a trendsetter. This movie was made with a budget of 2 Cr, which is considered as the highest budget movie in 1975. The worldwide Box Office Collection for Sholay was 30 Cr. As per Movie-raters HOFS scale, Sholay scores 15, which is considered as a blockbuster super hit movie of all time. The lifetime collection of this movie is 715 Cr. Dilwale Dulhania Le Jayenge is one of the highest grossing Bollywood movies. This was the first movie to gross 61 Cr in Bollywood History. Made with a budget of 40 lakhs, DDLJ Movie-Rater HOFS Ratio is 152, which is the highest among all the Bollywood movies. Consider 61 Cr as of today is 302 Cr. 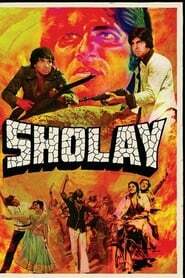 Sholay I no doubt one of the best movies of all time. This movie was a trendsetter for the Bollywood Movie Industry. Even during the time where India had limited theaters, Sholay Box Office collection was 15 Cr. Sholay has everything placed perfectly. No matter dialogs, action, songs etc, the movie is still in trend. This movie got so popular that in 2014 the 3D version of the movie was released. This was the first Amitabh Bachchan and Dharmendra movie that not just made its mark in India but abroad as well. DDLJ is one of an epic romantic love story that Bollywood has ever created. This movie is already celebrating its 1000 week in theaters and is considered as one of the most successful movies of all time. The best part of the movie is the story about how a young NRI boy visits Punjab to convince his girlfriend’s father. The best part of the movie is narration and dialog which is yet not seen in most of the movies today. Whereas Screenplay is a concern, this is a perfect movie to describe what a perfect screenplay is. The first half of the movie is all about how Shahrukh and Kajo meets and the 2nd Half is about convincing her family. This is a perfect drama romantic Bollywood movie that everyone should watch.